Vanda! displays even more versatility on the third of her unbelievable albums. 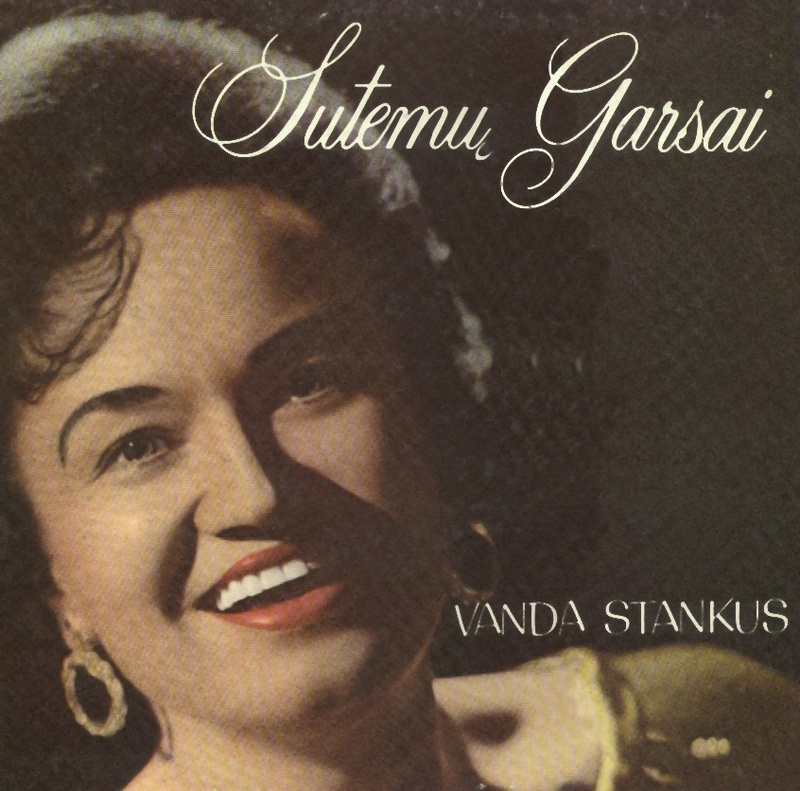 Sutemu Garsai (The Sounds of Twilight) includes three songs, Svajone, Rymau Po Berzais, and Apkabink Mane which credit lyrics to Vanda Stankus (Panavaite), reprising the unique reverse order of her married and maiden names. Also here is Vanda's inimitable take on Glowworm, translated into Lithuanian as "Joniniu Vabalelis," and a reworking of Never on Sunday as "Tik Nezinau." Once more, Vanda performs a collection of dance music. But do not be misled: beneath the surface, these are songs of longing, of loss. Clearly, it is only thrugh deep personal suffering that Vanda has acquired the depth of feeling and interpretation that transports these often simple melodies to an entirely different dimesion. Again Vanda is accompanied by the Bobby Christian Orchestra and Trio. As always, she offers suggestions for appropriate dances. "Sutemu Garsai" was released on the Aidas Records label in Chicago, pressed and recorded by RCA Custom Records. YOU PROBABLY WANT TO VIEW THIS ALBUM COVER IN A BETTER-QUALITY FORMAT - PERHAPS TO PRINT OUT AND FRAME? TO OPEN A HIGH-RESOLUTION FULL-COLOR IMAGE IN A NEW WINDOW, JUST CLICK HERE! To save a song to your computer, click on the "download mp3" link. A new window will open, as required by our secret French server, which by the way is notoriously unreliable. Should you encounter an error message, please enjoy Vanda! in realaudio, and return at a later time for access to the mp3 recordings. Would you like to listen to this album in its entirety? Just click here!